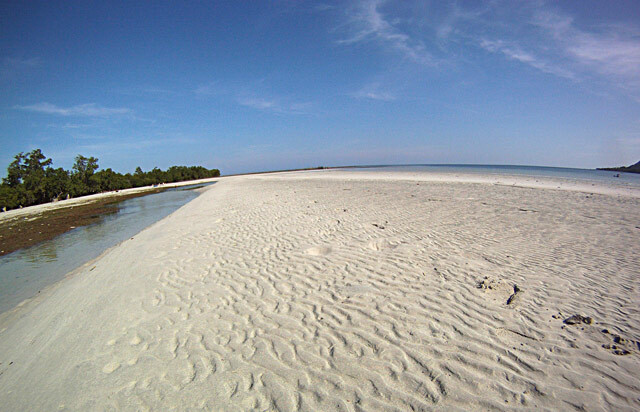 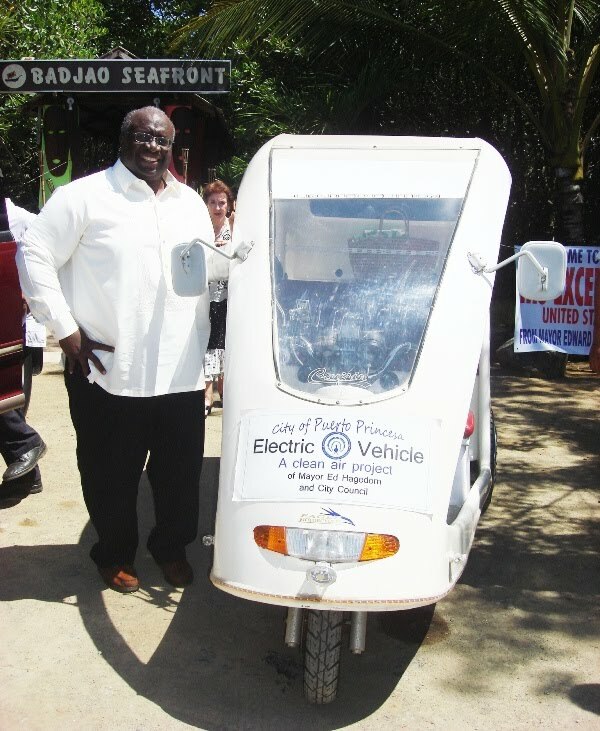 Dave and I drove our electric trikes over to Honda bay, Bgy. 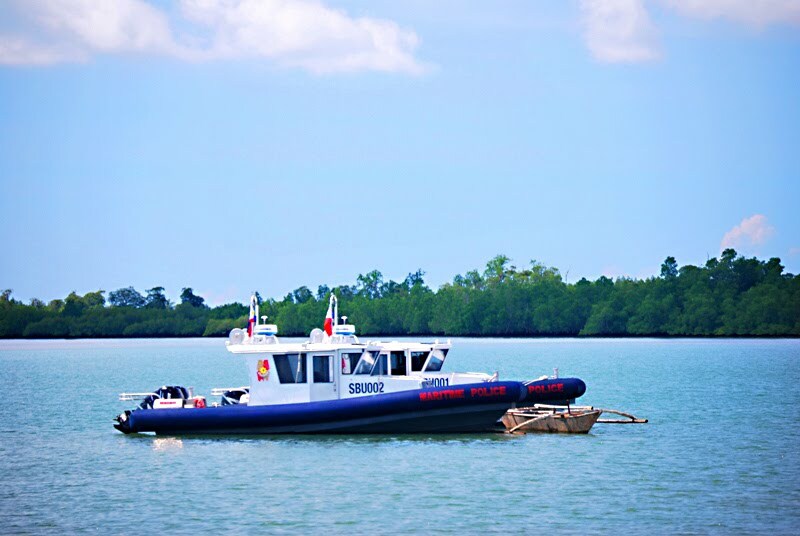 Santa Lourdes and got a sneak preview of the new patrol boats. 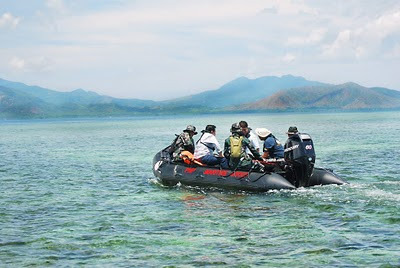 The boats to the local government units is a joint project of the governments of the United States of America and the Philippines. 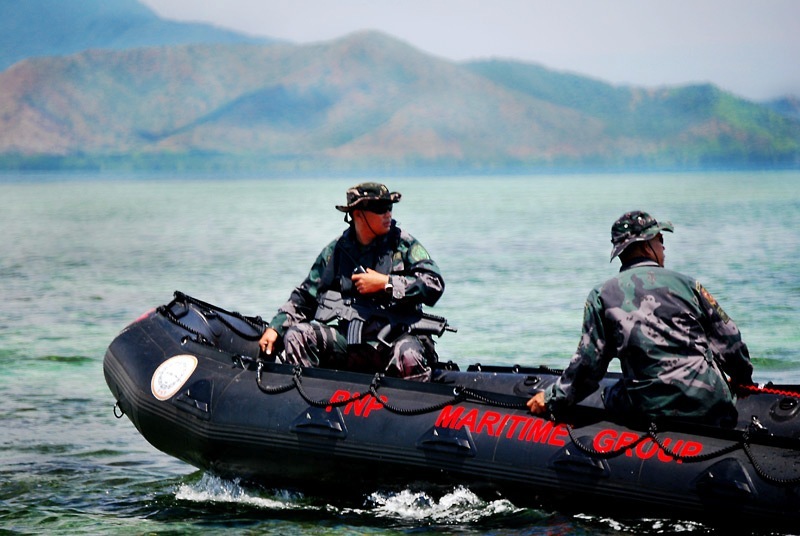 US envoy to turn-over 4 new patrol boats to Puerto Princesa, Palawan. PUERTO PRINCESA CITY NEWS- A representative of President Benigno Simeon C. Aquino III and US Ambassador Harry K. Thomas Jr. are expected to lead the turn-over ceremonies scheduled on August 16 of four new patron gun boats (PGB) at the PNP-SBU headquarters in Barangay Sta. 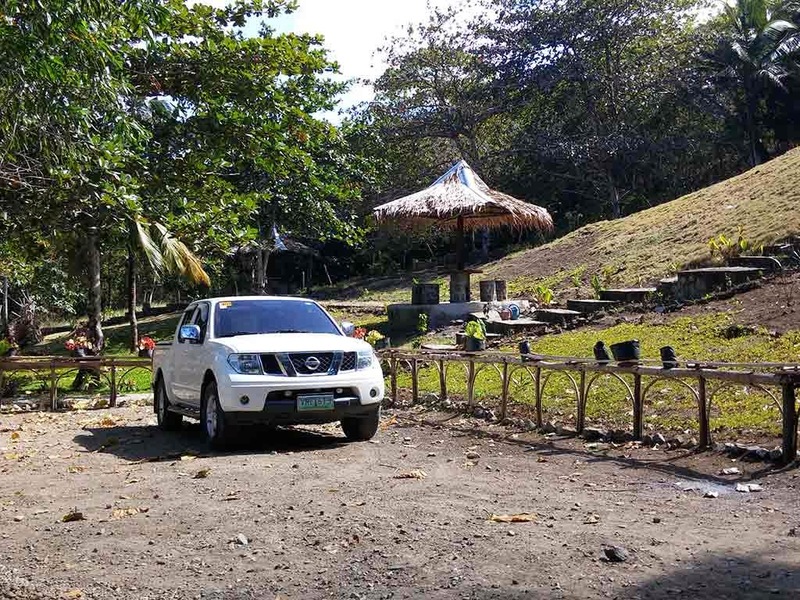 Lourdes, Puerto Princesa City. Smaller chase and rescue boats as well. 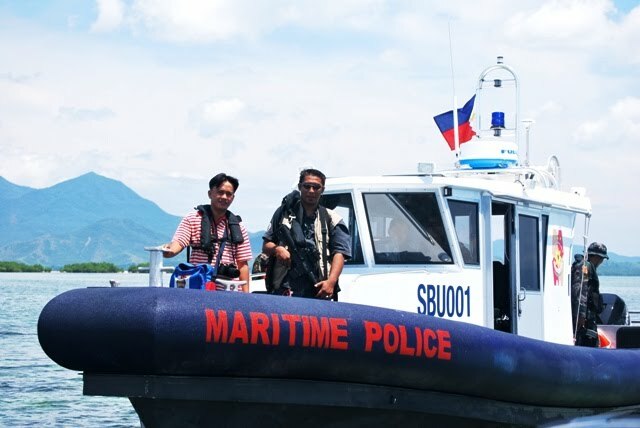 On August 16th, after the patrol boat turnover ceremony at Honda Bay in Sta. 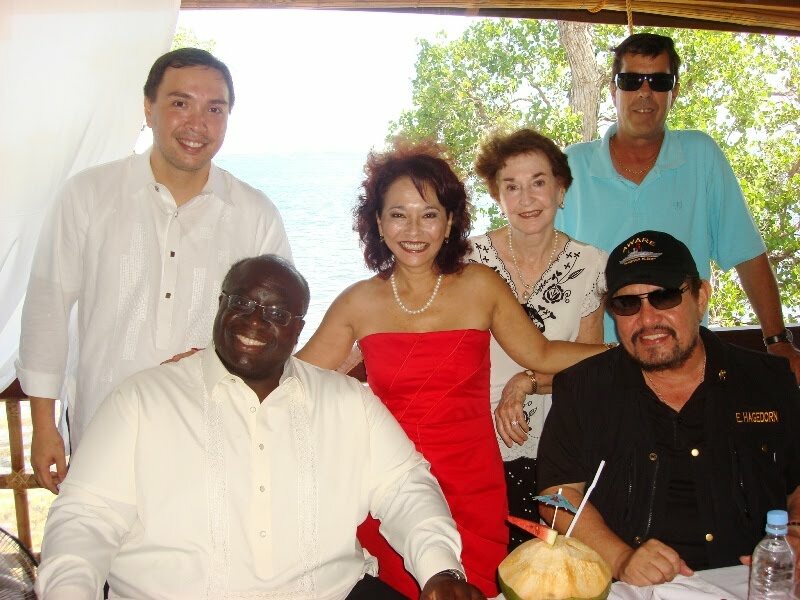 Lourdes, we met up with Mayor Edward Hagedorn, Governor Baham Mitra, and US Ambssador Thomas, at Badjao Seafront Restaurant situated in a mangrove forest. We found the new US Ambassador extremely affable and convivial! 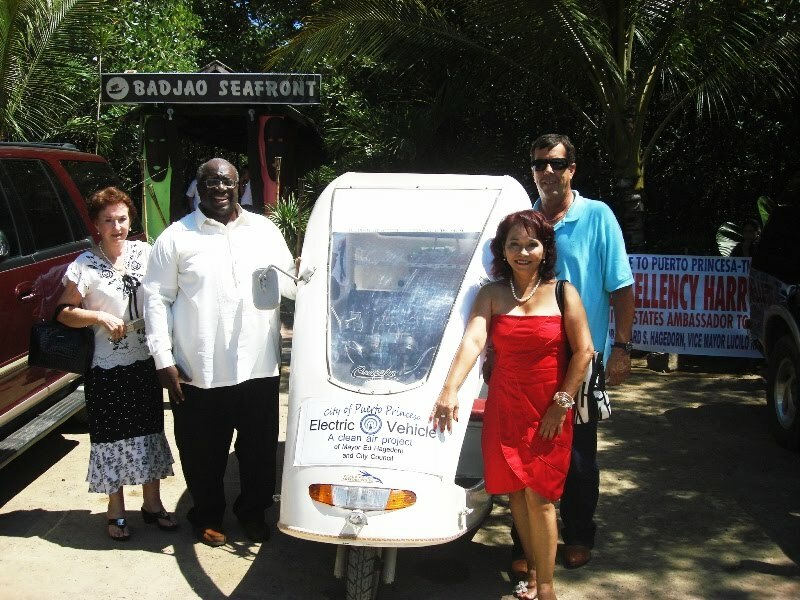 At Badjao Seafront Restaurant after the turnover ceremony. We were hoping to take the Ambassador for a ride in the etrike, but the day's schedule didn't allow for it. He said next time he was in town he would try them out.